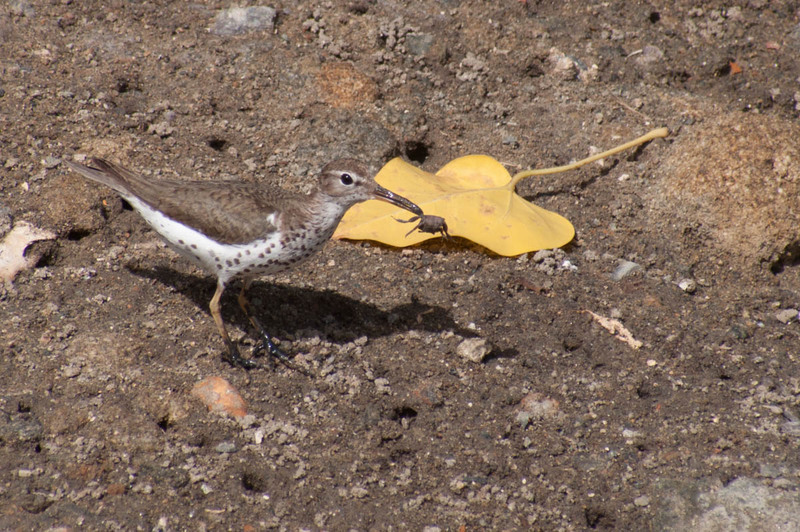 Here are two images of a Spotted Sandpiper with a crab in its bill. I don’t think this one really needs a lot of comment. 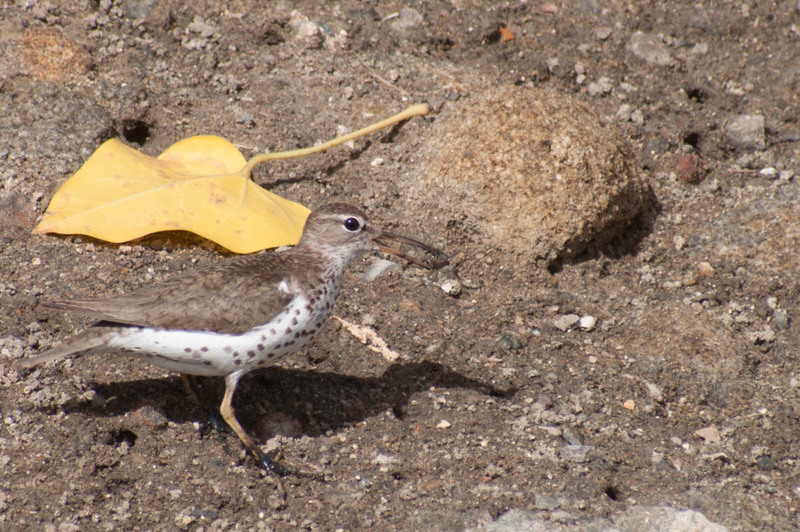 Its a fidgety, fast-moving bird, and even with the leaf, the image is less than ideal. Without the leaf, though, you really can’t tell what’s going on at all. It could be a break in the clouds or a spot of shadow, but when a background isn’t cooperating, keep an eye out for your yellow leaf. Alternately, if you’re doing your best just to track a moving subject, you can take a lot of photos and then sort through them afterwards for the background that works the best.